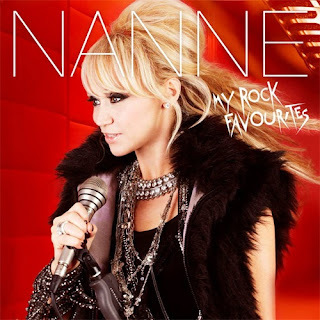 Around month before official release of upcoming Nanne's tribute-album "My Rock Favourites" we get a chance to listen snippets of all tracks to appear on the album. Below you can check whole list from tjyvlyssna blog. Just like debut single "Nag" most of the album covers sounds pretty expressive and obviously 80s inspired. Best expected tracks in a bunch are classic "Heaven's On Fire", slightly Abbaesque "Will You Be There", musical-breathing "Everyday" and "I Can't Dance" unexpectedly awesome fitting Nanne's voice.